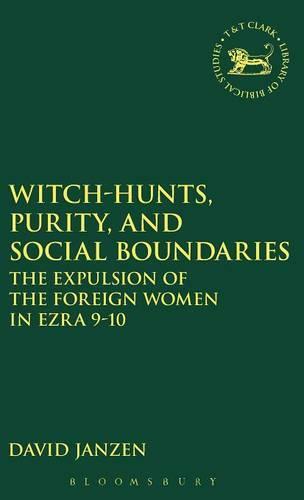 This anthropological approach to the expulsion of the foreign women from the post-exilic community argues that it was the result of a witch-hunt. Its comparative approach notes that the community responded to its weak social boundaries in the same fashion as societies with similar social weaknesses. Janzen argues that the post-exilic community's decision to expel the foreign women in its midst was the direct result of the community's inability to enforce a common morality among its members. This anthropological approach to the expulsion shows how other societies with weak social moralities tend to react with witch-hunts, and it suggests that the expulsion in Ezra 9-10 was precisely such an activity. It concludes with an examination of the political and economic forces that could have eroded the social morality of the community.